Opera Software has launched Opera Touch 1.0 a mobile app for Android (with iOS due to follow shortly). It joins existing mobile apps Opera and Opera Mini. 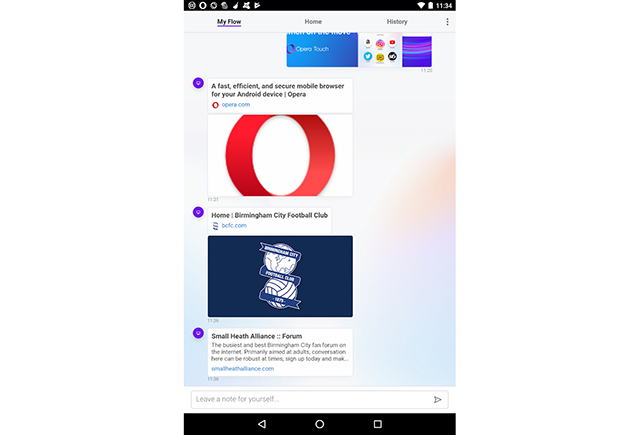 The new app is designed to work in tandem with Opera’s desktop browser using Flow, a means of instantly sharing tabs between desktop and mobile. It’s also been optimized to facilitate fast web searches and for one-handed use. 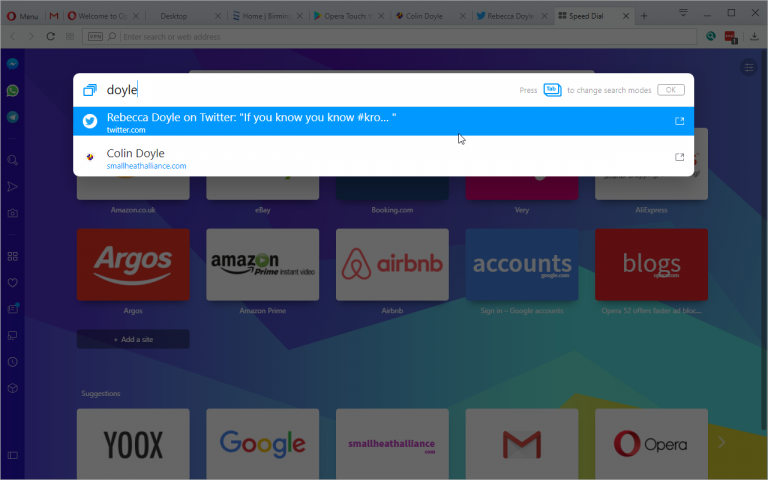 The main feature is Flow, which works in tandem with the recently updated Opera 52.0.2871.97 desktop browser. Users link mobile and computer through a QR code -- go to Speed Dial in the desktop browser and click the new arrow button on the left to follow the prompts to link the two together via end-to-end encryption. The Flow screen itself displays content in chronological order with a handy preview -- click a link to visit it in a separate tab. Users can also leave notes for themselves, plus click the Settings button to erase all content from the Flow, disconnect individual devices or reset the connection and start from scratch. In addition to acting as a conduit between PC and mobile, Opera Touch has been designed for one-handed use and is primarily optimized for performing fast web searches. It supports multiple tabbed browsing -- users can switch between tabs by tapping and holding with one finger, then selecting the tab icon from the list shown. Opera Touch also comes with the same ad-blocking and cryptocurrency-mining protections found in its desktop siblings -- these need to be enabled from the app’s Settings. Opera Touch 1.0 is available now as a free download for Android 5.0 or later. The Flow feature requires the latest version of Opera 52.0 for Windows, Mac and 64-bit Linux users. Existing users can update from within Opera itself -- simply open the Opera menu and choose About Opera to do so.